We were going to Kelvins 3200 on Oakland Park for lunch only to get there and find it closed which wasn't surprising as my one and only experience there was pretty bad. Being in a Southern food state of mind, and having a groupon, we came here. For $5 (Normally $10.55) I got a Beef Sandwich with a side of baked beans and a side of steak fries plus a diet cola while Allen, for the same price, got a Pork Sandwich with cole slaw, steak fries and diet cola. There had been too much gravy on the sandwich making the bottom part of the bun soggy so I decided to just eat the meat which turned out to be burnt and large chunks were hard in too many places. The beans were run of the meal without any particular taste while the fries were big and hot. Having passed this place many times I am glad I had a chance to try it but wouldn't go back again even with a groupon. 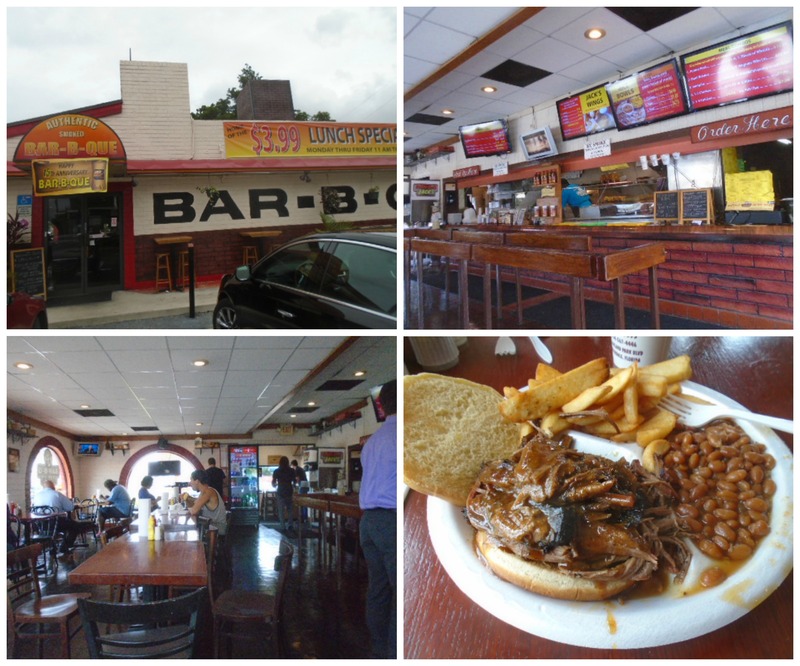 For bar-b-q I'll stick with Tom Jenkins on south Federal by Davie Boulevard.